Our square pocketfold wallets come flat, unassembled and ready to decorate. 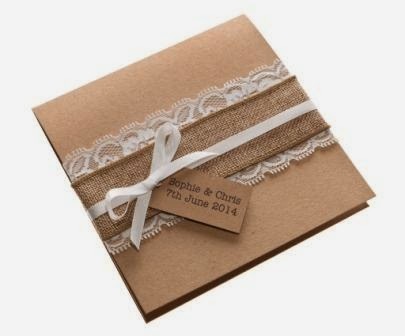 They are really popular at the moment when decorated with white wide lace, burlap and little tags. 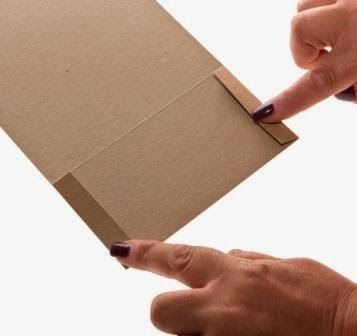 Fold the two little flaps in and rub over the crease lines to fold. 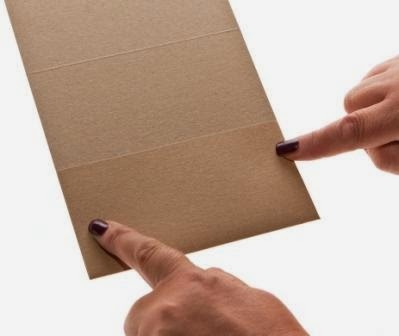 You need to add thin strips of double sided tape on the top part of the flap ( not on the bottom otherwise your 'pocket' won't stick to the rest of the wallet!). That's your wallet made, now it's time to decorate, please pay close attention to the next steps to get the result looking really good! 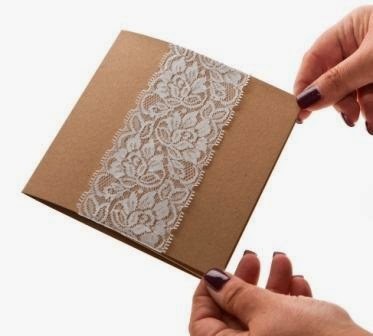 Add a thin layer of double sided tape all round the front and the back of the wallet, this will help keep the lace in place, and prevent it from sliding up and down the wallet. We recommend our stix 2 double sided tape pens for all card assembling and not glue, most glues are too runny and may crinkle or ripple the card! 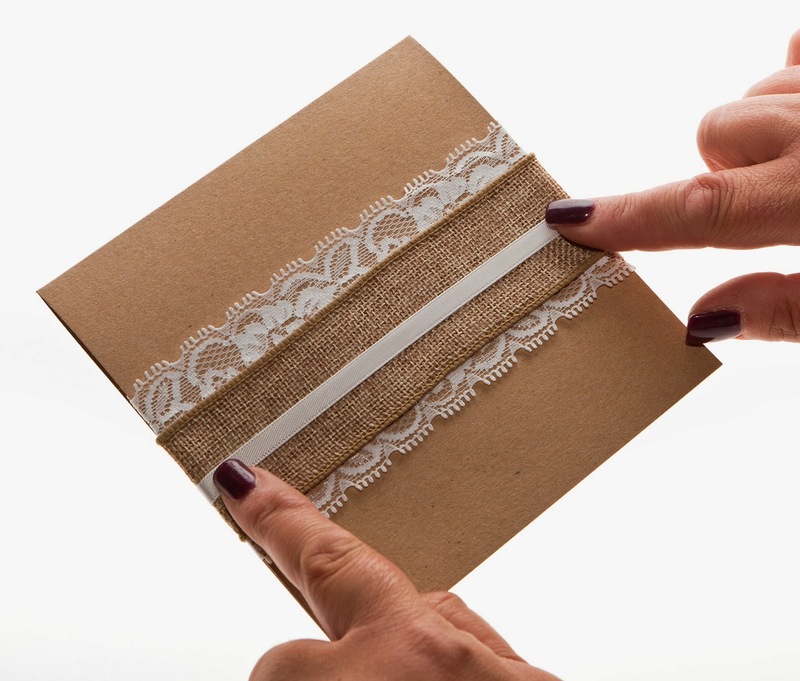 Check the front of the wallet to make sure the ribbon is central on the card fold and straight! 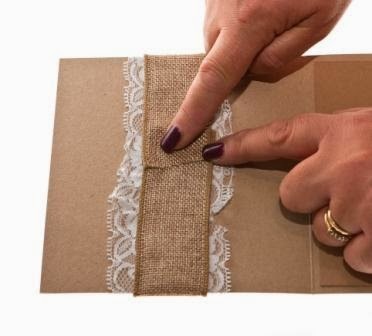 Do the same process again by adding double sided tape on top of the wide lace, try and make sure when adding the burlap ribbon, it is central with the wide ribbon. Third layer, repeat steps 1 and 2 with thin white satin ribbon. Here's the bit to really pay attention to... 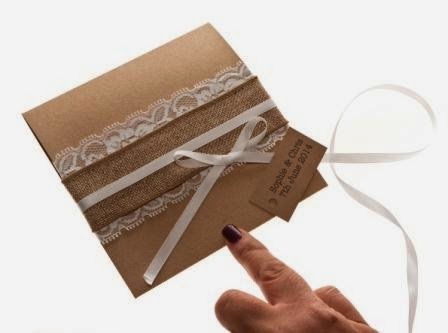 When you have added all the ribbon, burlap and lace, it all looks messy doesn't it? Even though it's the back of the front flap, people will still see it when they open the wallet. 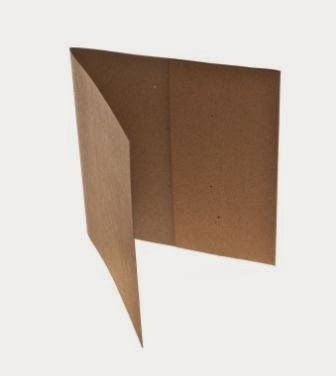 If you cut a piece of brown kraft card that measures 145mm x 145mm, and add some more double sided tape to the back of the card piece, all round the sides and a bit in the middle, and place it on top of the messy ribbon, it will hide all those ugly pieces of cut ribbon. 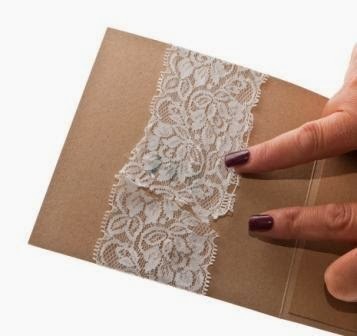 If you don't feel comfortable cutting the card, simply purchase our pocketfold insert cards, they're the exact size needed for the actual invite, etc. You can buy them from us blank or printed with your wedding details - the choice is yours. We tied a little bow and added to the front of the wallet, and added one of our rectangular personalised tags to complete.